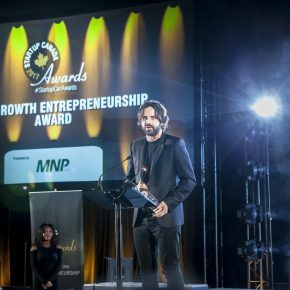 Each year, hundreds of nominations for the Startup Canada Awards pour in from across the country to recognize those who embody excellence in entrepreneurship. 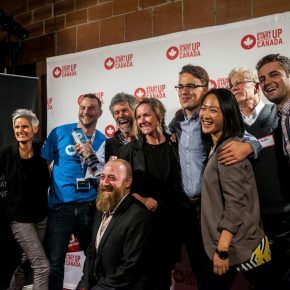 Startup Canada is honoured to announce the 2017 Startup Canada Award national winners. These winners are nation-builders inspiring the next generation of game-changers, disruptors, and innovative leaders. They demonstrate that taking risks, disrupting industries, and supporting one another are pathways to a successful future for all Canadians. 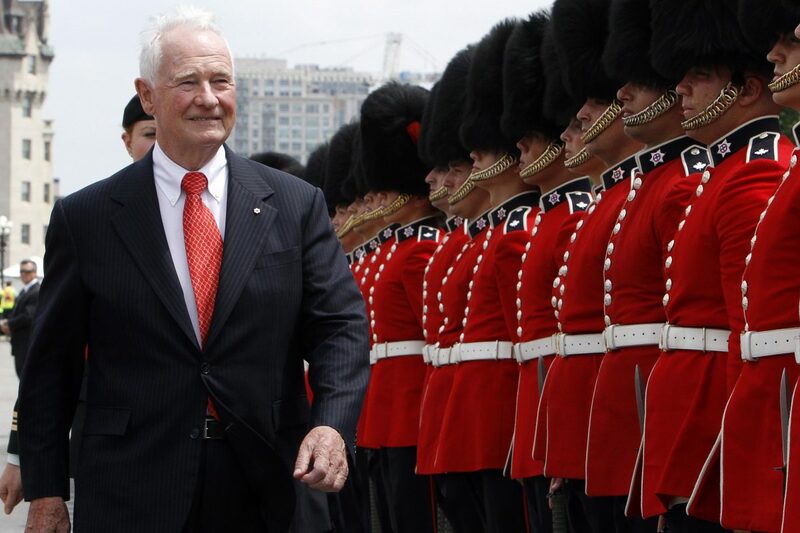 ADAM CHOWANIEC LIFETIME ACHIEVEMENT AWARD | Right Honourable David Johnston is a champion for Canadian innovation. He started his career as a professor and went on to become the vice-chancellor and President of the University of Waterloo – one of Canada’s leading innovation hubs. 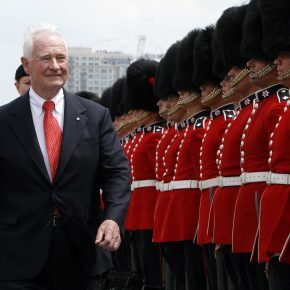 In 2010, Mr. Johnston was called to serve as the Governor General of Canada. His tenure has been marked by his dedication to strengthening: learning and innovation, philanthropy and volunteerism, and families and children. Most notably, Mr. Johnston launched the first ever Governor General Innovation Awards to celebrate excellence in Canadian innovation, inspire Canadians, especially youth, to be entrepreneurial innovators, and foster a culture of innovation. 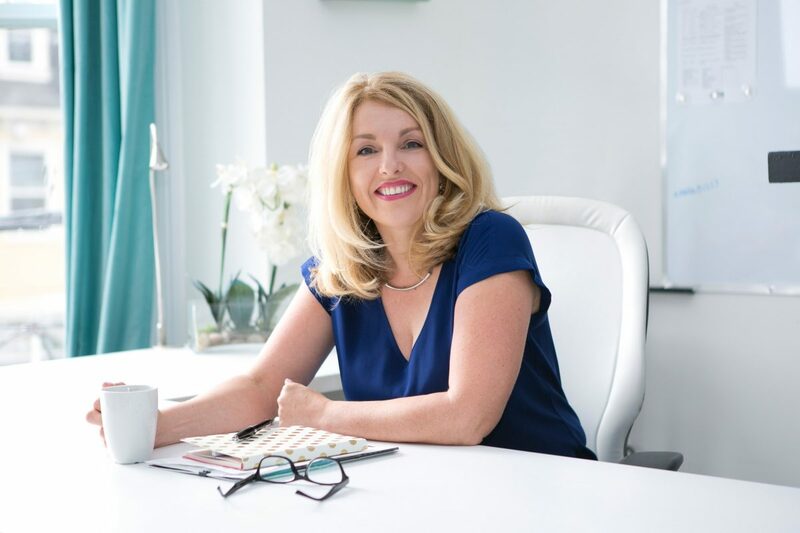 ENTREPRENEUR OF THE YEAR AWARD | Anne Whelan is the Founding President and CEO of Seafair Capital Inc., a holding company providing strategic leadership and services to its companies. Based in Newfoundland, Seafair Capital’s businesses employ more than 800 people and revenues in excess of 50 million dollars annually across multiple industries. 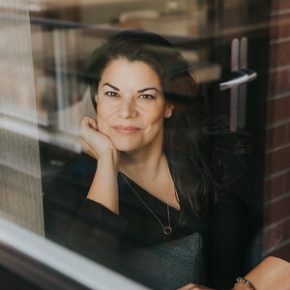 Anne’s passion for home care services started as she took over and then purchased her mother’s company, CareGivers Inc, and then launched Blue Sky – both companies a part of Seafair Capital’s cohort of thriving companies. Anne is also active in her community. 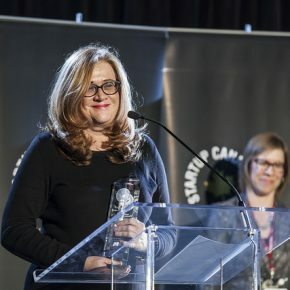 She chairs the board of directors of Newfoundland Power and is a Board Director of the Business Development Bank of Canada as well as the CSA Group. Through her entrepreneurial endeavours, commitment to community, and growing impact, Anne is a true role model for Canadians. 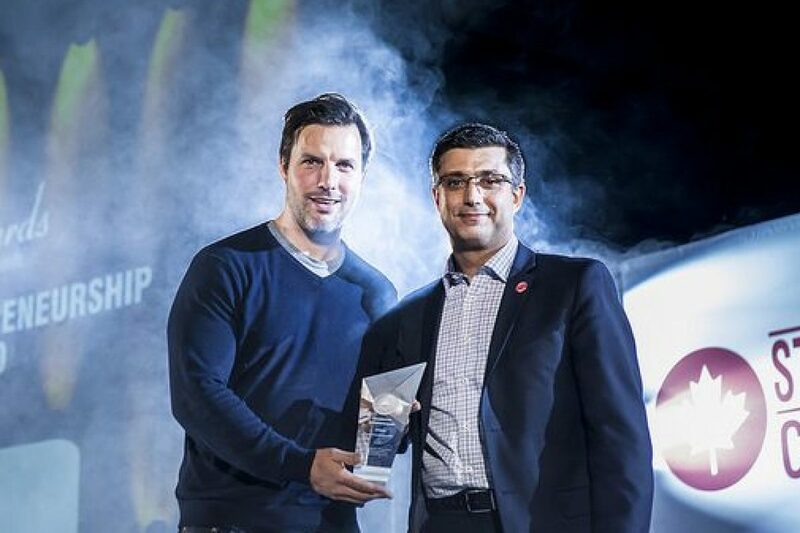 GLOBAL ENTREPRENEURSHIP AWARD | Hootsuite is a Vancouver-based software company that has changed the way we leverage social media and connect online. Their social media dashboards are used by entrepreneurs, businesses, public figures and social media gurus to schedule and publish content to more than 35 social networks. That’s not all that’s great about this company, whether through discounted use of their software or educating non-profits, they are reaching global success and are having a global social impact. With over 15 million users worldwide including Virgin, Mailchimp and Startup Canada, they have put Canada on the map as force to be reckoned with. 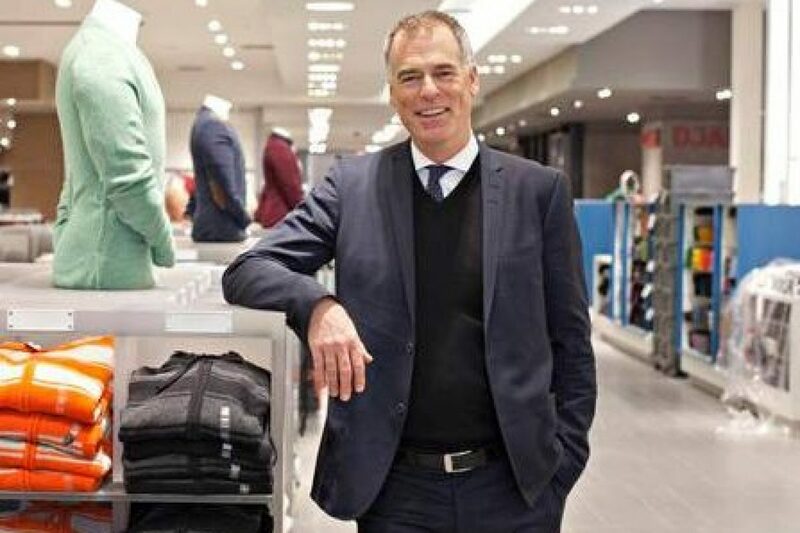 CANADIAN ICON AWARD | La Maison Simons is one of the most iconic retail stores in Canada. Older than Canada itself, their story begins in 1840 when Mr. John Simons opened up a small shop in Quebec City where he sold dry goods and imported wares. 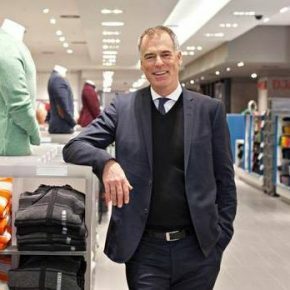 After more than 70 Atlantic crossings and over 170 years, the store has transformed its business to a high-end retailer and a staple not only in Quebec but across Canada. With 14 locations, customers can choose from a hybrid of products ranging from apparel to home-goods, all engrained with modern twists of Quebec and Canadian identity. From the very beginning, Simons emphasized quality merchandise and attentive service which paved the way for the Simons that we know and love today. 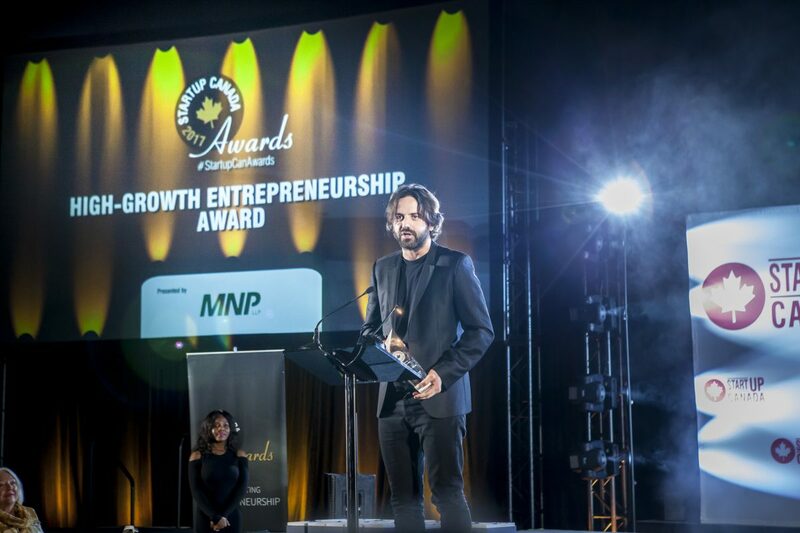 HIGH-GROWTH ENTREPRENEURSHIP AWARD | Launched in 2006 in Quebec, GSOFT is a software development company nationally recognized for their exemplary culture. They prioritize employee happiness, and provide superior quality software that positively impacts the lives of their team in the workplace. Through their products like Sharegate and OfficeVibe, they make it easier for users to navigate Microsoft 365 and Sharepoint, and provide a platform to help organizations create great workplaces. This company has made their mark on the IT industry, not only in Quebec and Canada, but in the global technology market. 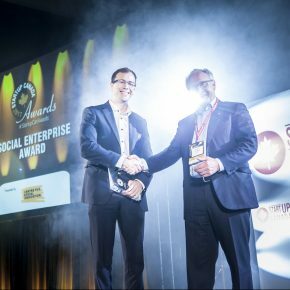 SOCIAL ENTERPRISE AWARD | Pinnguaq was founded in 2015, this Nunavut not-for-profit technology startup embraces technology and tech education as a means of sharing stories, languages and cultures with the world. Pinnguaq has launched various games and programs like Teach – a 52-week Nunavut curriculum and learning series. They’ve helped create over 125 games, and have supported over 500 people. With a team of 11, Pinnguaq has great plans for expansion. Over the next year, they plan to visit over 25 Nunavut communities to offer their programs and 7 Indigenous communities in Northern Ontario to support more than 2,500 people. 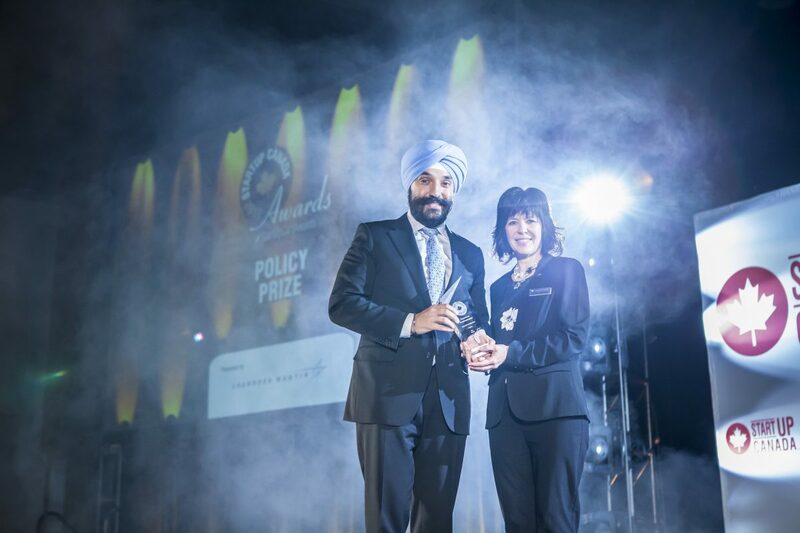 POLICY PRIZE | Honourable Navdeep Bains, Canada’s Minister of Innovation, Science and Economic Development is committed to growing the Canadian economy, strengthening the middle class, and helping entrepreneurs achieve optimal success. 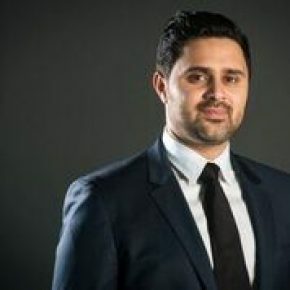 He works closely with the provinces, territories, municipalities, post-secondary education systems, and employers to improve the quality and impact of Canadian programs that support innovation, scientific research and entrepreneurship. 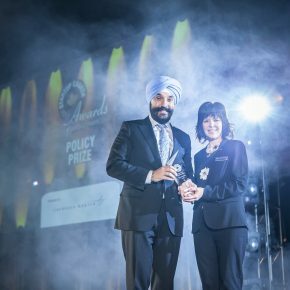 Minister Bains has demonstrated quality leadership and a genuine interest in the Canadian entrepreneurship community as an advocate for innovation. 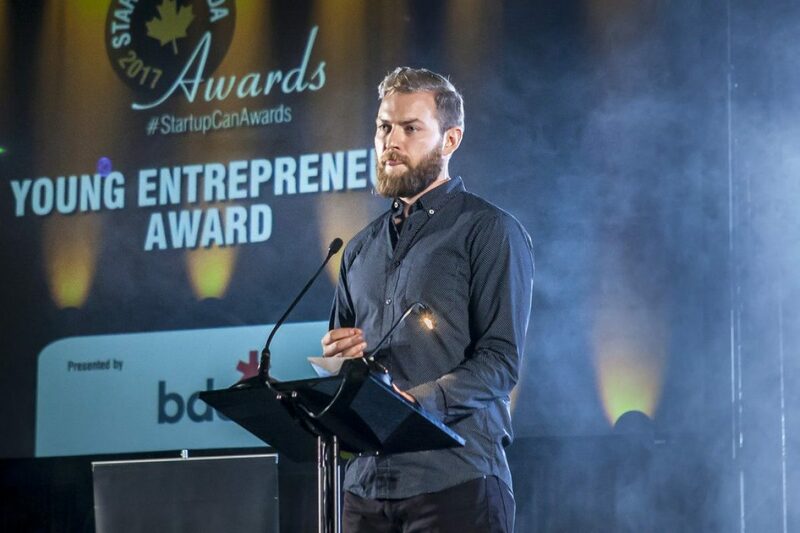 STARTUP COMMUNITY OF THE YEAR AWARD | Founded in 2016, Startup Kamloops launched with the full support of local entrepreneurs and entrepreneur support organizations. 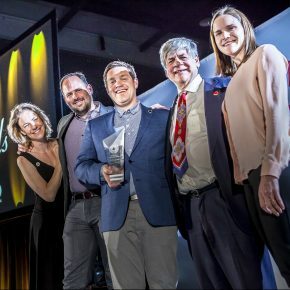 With a mandate to elevate Kamloops on the national and global stage, they launched initiatives like the Built in Kamloops Contest. 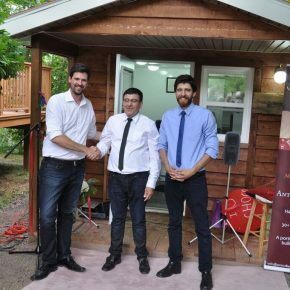 Reaching over 44 countries, the program has increased awareness of entrepreneurship in Kamloops and Canada. 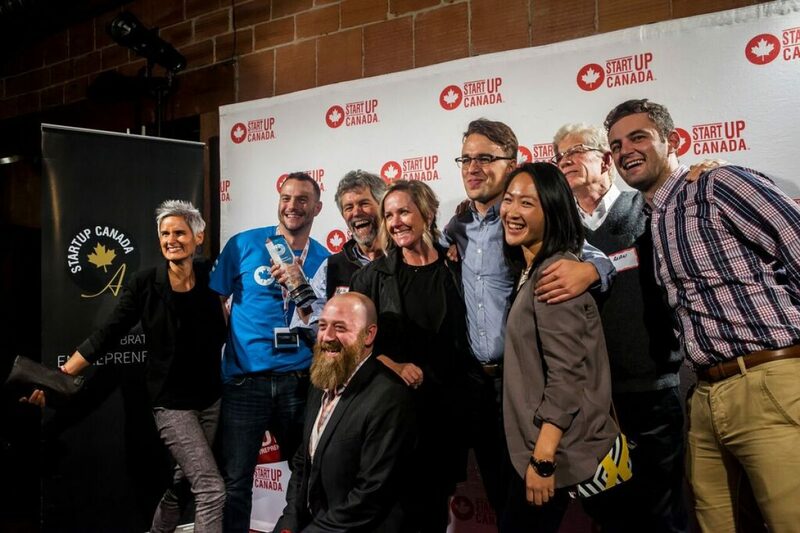 Whether it is mentoring and sharing best practices with other Startup Canada Communities or supporting local organizations, Startup Kamloops is a true leader in Canada. 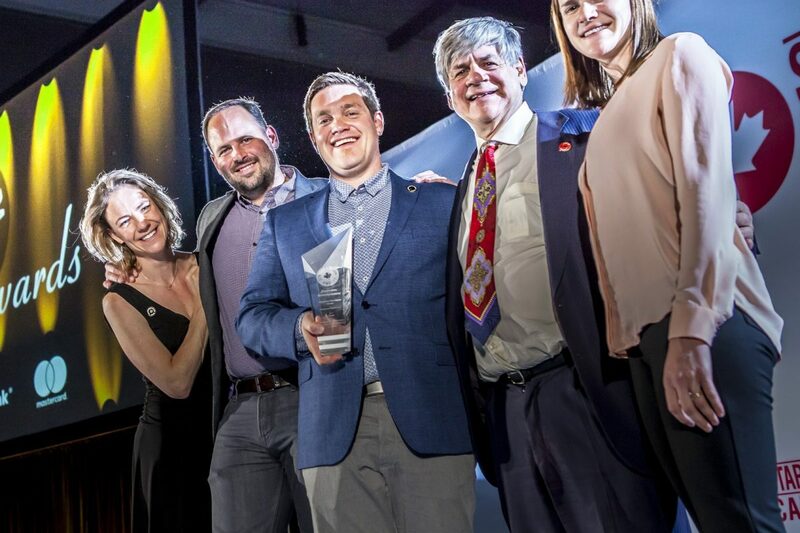 With a population less than 100,000, Kamloops punches above its weight and is advancing the culture and environment of entrepreneurship in Canada. 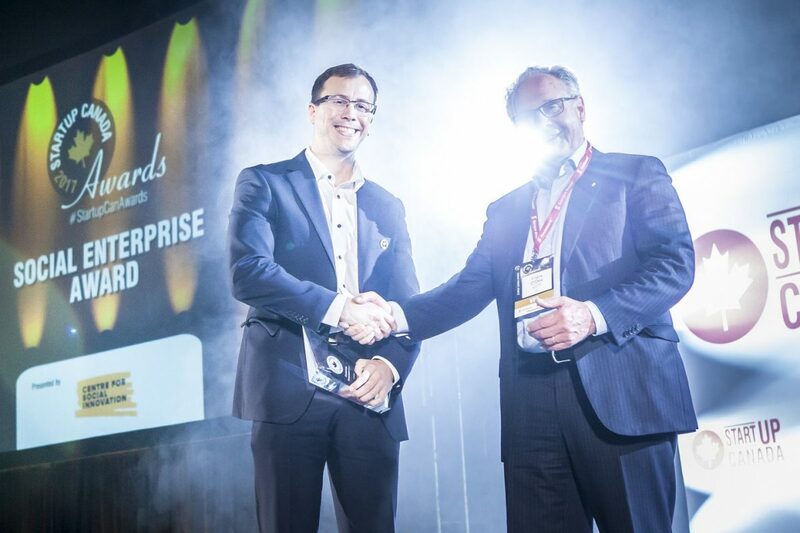 ENTREPRENEUR SUPPORT AWARD | Based in Whitehorse, YuKonstruct launched the first makerspace in the North in 2014. As a community-operated workspace, they are dedicated to empowering Yukoners to bring their ideas to life through creativity and innovation. Through its machine shops, workshops, and studios, their makerspace is a place where ‘makers’ come together to collaborate and make things happen. In 2015, they launched (co)space – the first co-working space in Whitehorse which has become hotbed of entrepreneurial activity. YuKonstruct is dedicated to providing access to communal spaces with quality resources, shared knowledge and a collaborative environment to help entrepreneurs thrive. ENTREPRENEUR PROMOTION AWARD | Manny Padda is the founder of Vancouver-based New Avenue Capital, an investment firm that helps scale companies.Within seven years of operation, New Avenue Capital has a global portfolio of over 50 companies in 12 countries spanning education, real estate, technology, mining, healthcare and sports and has made over 100 investments creating a multi million dollar portfolio. Manny is also a philanthropist. With a personal mission to educate over one million children worldwide and to donate over one million dollars to charity, Manny is actively contributing to organizations through mentorship and investment. Twenty five per cent of all profits made from angel investing profits go back into the community. Manny is using his platform to empower our future global leaders. 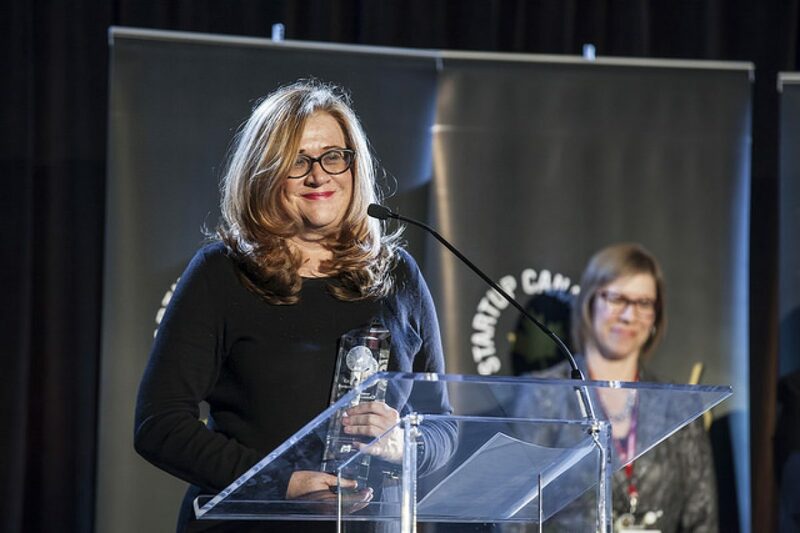 WOMAN ENTREPRENEUR AWARD | Nicole Verkindt is a serial entrepreneur; a trendsetter in the defence industry; and a Dragon on CBC’s Next GEN Dragons’ Den. 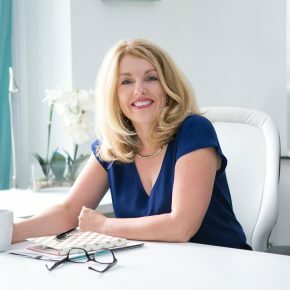 As the founder of OMX, Nicole’s vision is to transform the defence sector. This collaborative platform and online marketplace helps organizations find, manage and benefit from military contracts. By adopting principles and technology from other sectors, OMX is changing the face of one of the most traditional industries. Today, OMX is having a significant impact on the Canadian economy by providing diverse strategic sourcing solutions to companies across Canada, in particular, Indigenous-owned businesses. Prior to founding OMX, Nicole started Tiburon Ltd and the Southern Ontario Defence Association. 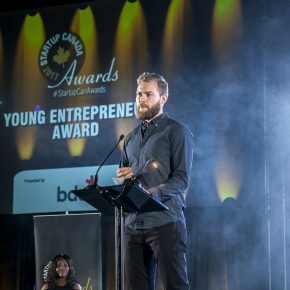 YOUNG ENTREPRENEUR AWARD | Graham Mann is the co-founder of Lean Systems, a Montreal-based startup that develops optimization software designed to provide automated fleet routing and scheduling to improve productivity. With over 30,000 routes scheduled per month, Lean Systems is poised to transform the transportation sector. 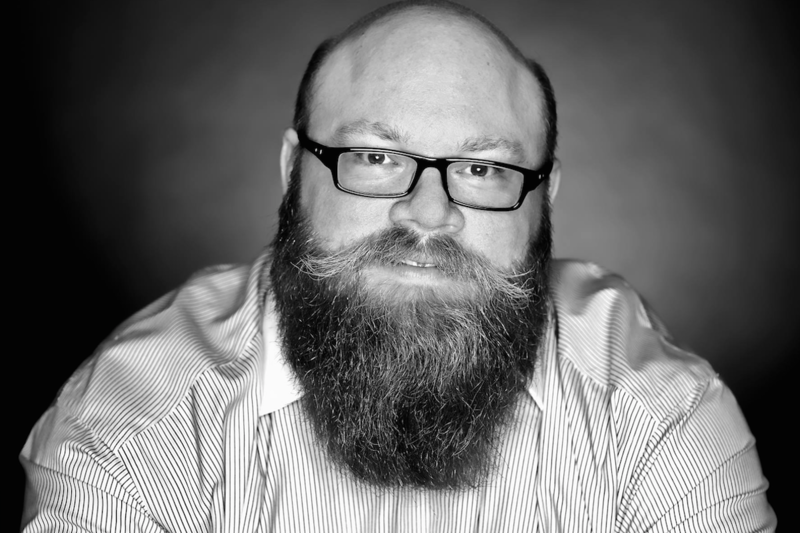 As a dedicated community builder, Graham has mentored over 100 companies in various capacities while at Founder Institute, Startup Weekend and Techstars Boston. In 2012, Graham launched Sail All, in Nova Scotia. A not-for-profit, that has given over 2000 youth the opportunity to sail. RESILIENT ENTREPRENEUR AWARD | An entrepreneur, innovator, advocate for persons with disabilities, and a psychotherapist. 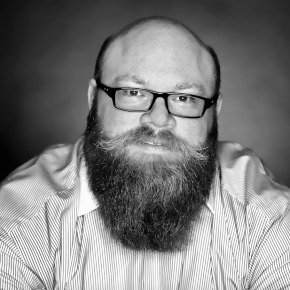 In 2014, Shawn Smith founded Don’t Dis-my-ability Consultation Services Inc., an innovative company specializing in the emerging field of Neurodiversity. 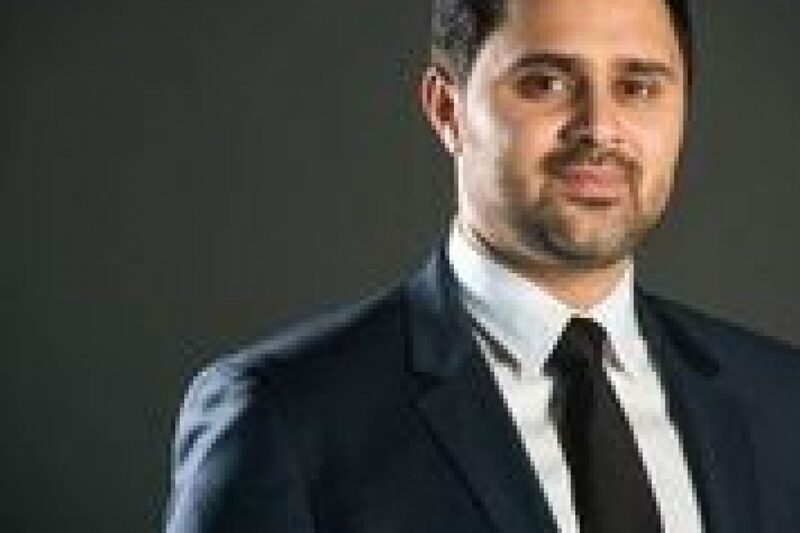 At the age 30, he was diagnosed with Attention Deficit Hyperactivity Disorder – Inattentive Type, and began his journey of self-growth and entrepreneurship. Through Don’t Dis-my-ability, Shawn provides counselling and coaching services to individuals with non-visible disabilities including ADHD, Autism Spectrum Disorder, Fetal Alcohol Spectrum Disorder, and other learning disabilities. Whether it’s his fellow entrepreneurs, family, or business executives, he is giving individuals a voice and ways to navigate the world around them. 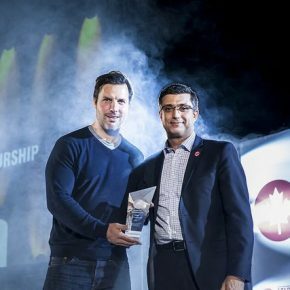 NEWCOMER ENTREPRENEUR AWARD | The Hadhad family Founded Peace by Chocolate, a unique chocolate company that blends Syrian and Canadian culture together. For more than 20 years the Hadhad family has shipped specialty treats all over the Middle East to countries like Yemen, Jordan and Lebanon. The family’s original factory opened in Damascus, Syria in 1985. 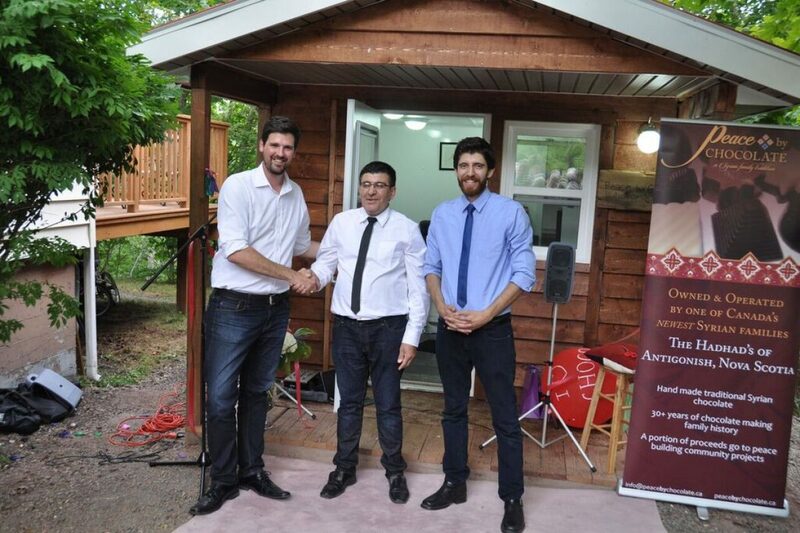 After the Syrian Civil war, they lost their business due to bombings and were forced to relocate to refugee camps before moving to Antigenish, Nova Scotia in 2016.With the support of their new community and the people of Nova Scotia, they rebuilt their chocolate company and once again are spreading the gift of peace by chocolate. 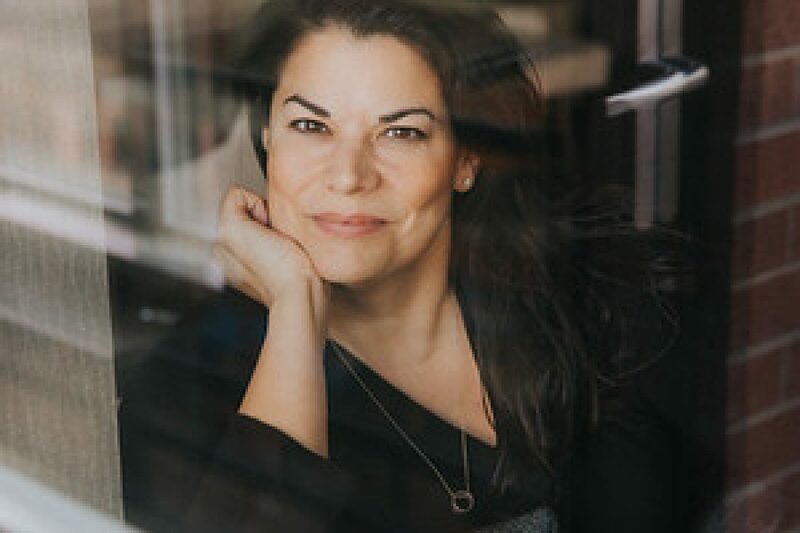 INDIGENOUS ENTREPRENEUR AWARD | Patrice Mousseau had a successful career as radio and television host, news anchor, and journalist. She became a conscious entrepreneur when her daughter developed eczema and needed help. Now, Patrice is the owner/creator of Satya Organics Inc., providing NPN approved, certified USDA organic products to serve those with skin conditions, who want a legitimate alternative to steroid products. Patrice is also a single Mom and a member of the Fort William First Nation. SENIOR ENTREPRENEUR AWARD | Dr. Cindy Gordon has established herself as a force to be reckoned with in the Canadian startup community. In 2011, she founded SalesChoice – Canada’s first cognitive sciences company that applies AI and Machine Learning techniques to customer relationship management to increase sales productivity by 8 to 10 times its regular rate. Cindy is showing corporate Canada the way to use augmented intelligence and Data Science methods to prepare for a more efficient future.